The turbulence was almost too much to bear. Spake pulled out the onboard oxygen mask, cupping it to his face and falling back down in his seat. Rocking back and forth, back and forth. Walls shaking. People screaming. Children screaming. “Hold on, everyone”, shouted the pilot over the intercom, static being produced, transmission cutting in and out. Trying to keep things under control but the aluminum tube was about to rip apart in mid-air. Down she went, shooting down through the sky faster than a hot missile. The plane crashed down into the Sahara desert, creating a wave of dust that stretched for miles. Flames engulfed the wreckage. Noone could have survived this. But somehow, one did. Now Spake began his quest across the desert, looking for help, looking for anyone. Parts of the plane scattered across the arid land. Hot and dry. Sweltering heat. Around this area was a secret facility, a place where a project was being conducted. The Walking Dead is one of my favorite shows on TV right now (even though I hardly ever watch it on traditional TV). I have enjoyed watching every season so far up to the first half of season 7 through Netflix and other various means. The show hardly ever varies from one season to the next except for a location change or new deaths but it’s the interesting characters that have kept me in. Cheap plot gimmicks aside and the usual Rick goes crazy and then decides to fight the system formula and this show always manages to keep me anticipating what is up next. The main villain for season 7 is a brutish man named Negan and the rest of his biker gang known as the Saviors, who all are known as Negan together. He controls the stock of weapons, food, and other essential items (even taking away the mattresses). As for how this show will eventually end, whenever that is, I hope the producers don’t settle for some cliche ending like the one on Lost. Or that this was all a complex dream of Rick Grimes, the main hero of the series. I am hoping the show goes the route of eventually finding a cure for the zombie virus (which was a brief idea by Eugene a few seasons ago) or that our survivors have developed an immunity to the zombie walker virus that activates when one is bitten or dies. I can even imagine Daryl taking one last look at Rick before he rode off into the sunset on his motorcycle. Or maybe they eventually reach Washington DC and the final shot is of the tattered American flag slowly waving in the calm post-apocalyptic breeze. I sure hope the show isn’t dragged on for too long and ends as long as the ratings stay positive. There once was a secret box that could only be opened by a special person. It had six locks on the side, six magical locks that when opened revealed something so powerful that the founder had to be so careful as to not let it get into the wrong hands. 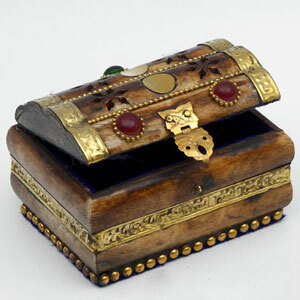 The Creator of this ancient artifact left very little clues as to how to unlock the box. It may unleash something bad or something good, forever changing the course of the world. Sort of like Pandora’s box but in a different way. The clue is given via a hologram image of the Creator, which is basically a recording of him thousands of years ago. He died shortly after creating this. He speaks in a strange language that must be deciphered. This language might be made up if anyone knows. The only way into the ancient underground lab where this box is located is by taking a drop of your blood and placing it on the sensor rune in the door. But beware, it only accepts people that share some bond with the Creator or are part of his ancestry line. So basically, the mythical lair is set up to keep out anyone who is unworthy of its secrets and be abusive. Until this day, the only ones to have ever discovered the location of the secret box, otherwise known as a word that sounds like Klingon, are the Creator himself and someone he trusted closely named Romulus. Together, they set up the defenses and other precautions that would ensure the box would stay hidden and protected. They were afraid that if anyone else discovered this, things would go terribly wrong. Nothing like this had ever existed in the world. The most worthy person would come along someday. That was before a man named Slocan Mesta came along. And he would not only succeed in accessing the hidden lab, he would unlock the magical box and acquire the power that was inside, which turned out to be quite useful – for a while at least. Being one of the last ancestors of the Creator (whose last name might have been Mesta or something else), it was probably right that he was the worthy candidate to finally discover the power that had been dormant for so long. Whatever happened to Slocan Mesta? Well after he went into the village he quickly did things that terrified people and made him an instant villain. It turns out that he rose to power quickly, using his powers to manipulate and trick people. He couldn’t be caught since he could transform into any living thing, human or animal, could easily hide in plain sight. It was said he manipulated his wife into marrying him and had two children who may or may not had inherited his rare abilities. Mesta has seemed to have gone into hiding after his power became so uncontrollable, he couldn’t be apart of the normal population anymore. It was taking a toll on his body as well, making him very weak and tired, draining him of his energy. That was the downside to opening the secret box, for what was inside seemed to morph itself into its host, completely taking over that person’s soul, little by little taking control of their mind until they no longer could make their own moral decisions anymore. The story continues into the present day when four kids come in contact with the recluse, aged quite considerably, and are led on an adventure for the ages. A plane will crash down into a desert, someone will be taken and held hostage – by hazmat suits, and the key to restoring a burnt out apocalyptic land to its once peaceful and thriving state will require the impossible to happen. 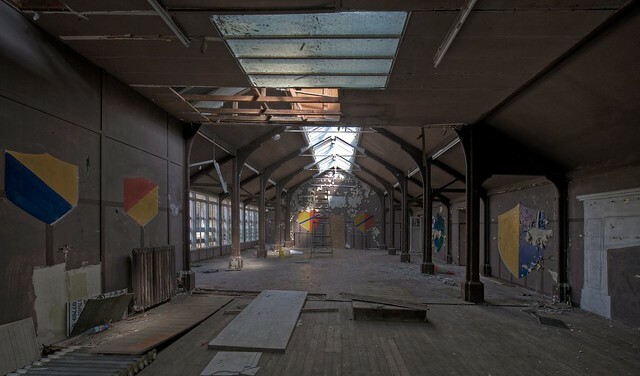 Back inside the halls of long abandoned Praline, the bounty hunt for Dmitri Ivanova continued. It was going well into midnight and tensions were high for his capture. “Where are you Ivanova?” said Looper in a hushed tone, walking through an aisle of the school’s abandoned library. His flashlight beam hovered over some dusty books on a middle shelf, various titles on the spines becoming clear. Ivanova, the ruthless tyrant and murderer from Russia, could jump out at any moment and start shooting at the tall beared assassin. “Come out,” Looper said, the old floorboards creaking under his heavy boots. Most of the windows of this abandoned library were boarded up except for two that had been shattered, letting in streams of moonlight that illuminated the aisle Looper was stealthily walking down. The sound of an old clock that was miraculously still ticking after all these years was the only other sound besides Looper’s shuffles. In 99 words (no more, no less) explore the importance of a name within a story. It can be naming an experience, introducing an extraordinary name, or clarifying a name (who can forget Who’s on First). Go where the prompt leads. We don’t know much about the secret operation called Haydee, which consists of a line of half-human/half-robot girls. The artificial complex being used for the operation is quite huge. Some have attempted to draw a map of this intricate facility and have come up with a kind of cube like structure that looks quite too small for everything that is contained within. Two kinds of robot enemies seemed to have been placed in this huge complex by engineers, all in various places and triggered in various ways, sometimes jumping out unexpectingly, much to the test subject’s shock and horror. It seems as if an experiment is being played out here, one to test the capabilities and wits of the Haydee models. Making it out without being scathed is very unlikely. Is there even a way out of this place or this the hope for daylight a fleeting dream? I like to think that a panel of scientists are watching the game from the outside, sitting back and enjoying the pleasure of seeing their test subject struggle over and over again to make it through the complicated facility. Much like the “Cube” movies, the facility serves as a tool for research, all with its various traps and clues. Getting out requires a lot of trial and error, which would include a lot of dying and learning from your mistakes. The end reward for all of that hard work and sacrifice had better not be an anticlimactic pat on the back, but as in most cases, probably is. This is my attempt at creating some mythology behind the game Haydee, one of the newest games to be released on Steam and which I’m playing right now. So I have finished reading “Harry Potter and the Cursed Child” and of course have to blog about it, being my ambition to take thoughts from my head and construct them into words. I think I can officially say I have got my Harry Potter groove back again. It has been renewed and re-energized. I thought it would be impossible to get back the magic but I have been proven wrong. This is my trying attempt at a review of the long awaited eighth story in the Harry Potter series. Being a play, it was a little hard to get a feel for the characters, being little more than two dimensional and flat, but what a page turner it was. I read the story, which is little more than a manuscript of dialogue and stage directions, in about three days. 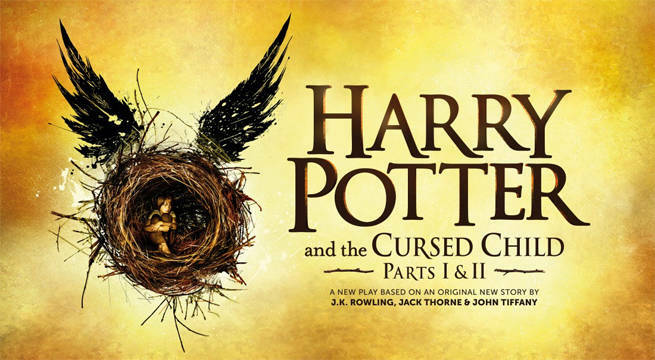 “Cursed Child” is a 308 page script (292 of it story; the rest cast info and production notes) and is divided into two parts of four acts. It is based on an original story written by J.K. Rowling, John Tiffany, and Jack Thorne. It is not canon and reads more like fan fiction. The plot is all about time travel, and rewriting and un-writing history. What else could it be about? In order for the story to be anything worth reading, the old Voldemort plotline (or any similar sinister plot) had to be featured. Voldy may have gone Moldy in book seven, but the concept of Time-Turners makes his return an interesting possibility. At one point, the wizarding world is under control by Voldemort and his legion of followers. Dark days. Part 1 is more about establishing the storyline and going through lots of talk at the Ministry while Part 2 is where the adventure really takes off, where it’s a trip back to a magically repaired Hogwarts where life goes on as usual as if the Battle in 1997 never happened (it’s about 2019 during Albus’ fourth year). At times, it feels like all the script manages to do is rehash events from the past and try to paint alternative scenes from them. Maybe it is just serves as another excuse for Potter fans to dish out money. He has a weird sense of humor and a slight romantic attraction to Rose Granger-Weasley, Ron and Hermione’s daughter, to little success at wooing her. Albus Potter – the main protagonist of the story, is afraid of being sorted into Slytherin house, for which he ultimately is. Has some trouble connecting with his father from the beginning. Goes on a time traveling adventure with Scorpius and nearly ends up screwing up the world for good. Harry Potter – a much older man now working at the Ministry of Magic. He has to grip with raising a family and keeping behind a past that keeps trying to resurface. HIs scar and vivid dreams relating to Voldemort come back into play. Delphini Diggory – the main villain of the play, tricks Albus into thinking she was a pure goodhearted person when in fact she is the perpetrated daughter of Lord Voldemort (how this is even possible and why anyone – even the vilest of people – would want to mate with him – is a puzzling thought). The connections between characters is apparent; Albus, like his mother Ginny, is easily fooled and like the namesake of his middle name, is a bit of an outcast; James, like his grandfather, is arrogant and rude to Albus. I loved this story right from the get go. It had enough twists and turns to keep me interested. Like the main seven books before it, nostalgic feelings came back as I neared the end of the story, feelings of reading a Harry Potter novel for the first time and anticipating what was to happen next. “Cursed Child” is well written and has just enough of that Harry Potter magic to make us all believe again. Going with a 5 star system, I give the play/book 4/5 stars. The plot could have been a little more original (I felt like I was reading a script for Back to the Future at times)and less hurried, but overall this was an entertaining and heartwarming read. I may still get the play in the crisp hardcover form, because then it would fit along with the beautiful set of seven books I already own.